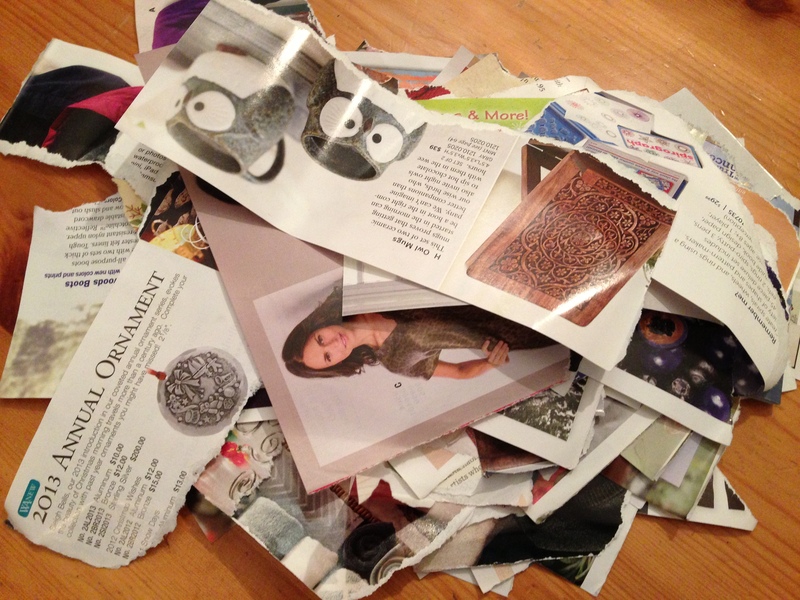 Clump #96: Give away catalogs; buy natural skin product gifts. 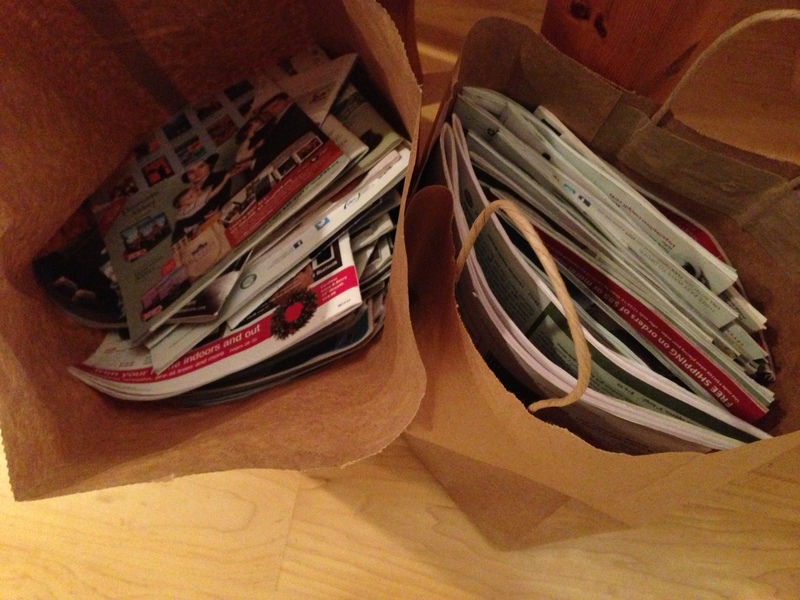 A dear friend told me she wished she had some of the catalogs I was describing as the scourge of our mailbox. I curated a bunch for her (on the right), recycled the rest (left), and dropped the nice ones off at her house today. I’m glad they have a new home with someone who will appreciate them. 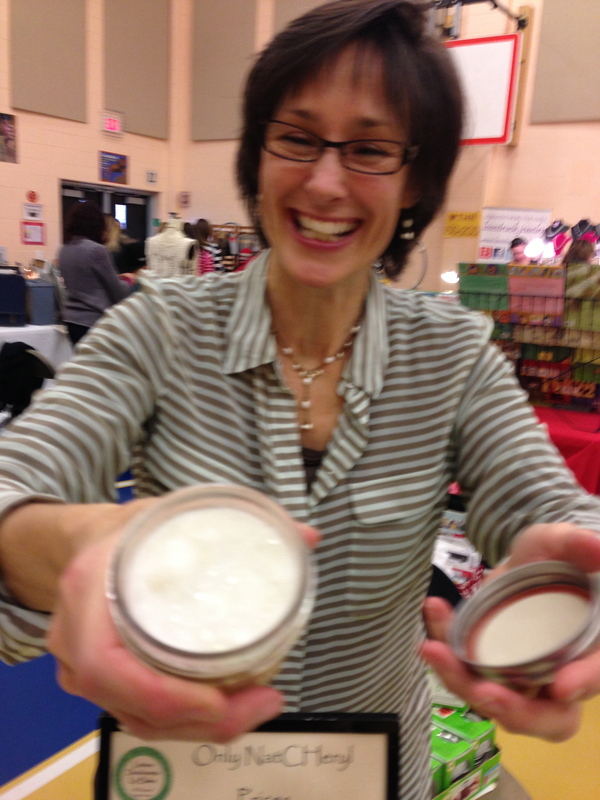 Another good friend, who started the business Only NatCHeryl Body Cremes, was selling her products at a local craft and gift sale today. 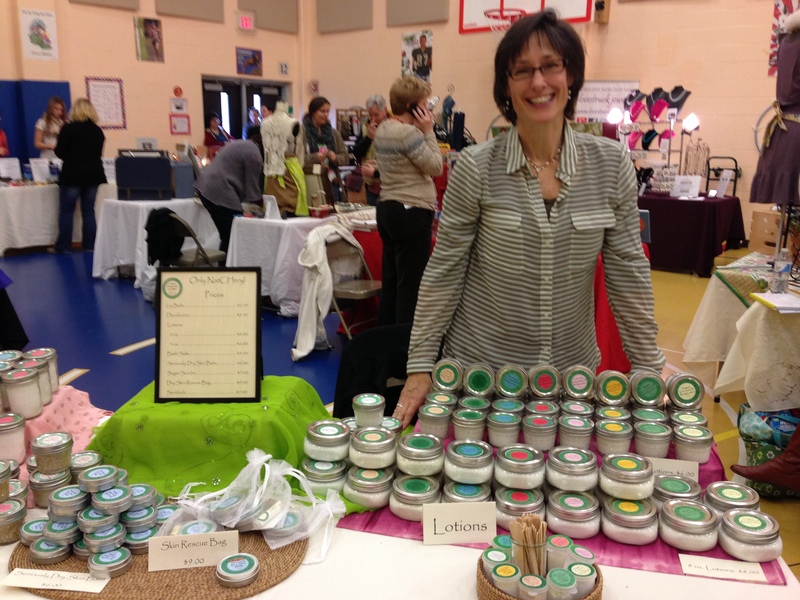 Her brochure begins, “I first started making lotion about 10 years ago after my son was born with a hormone related birth defect. 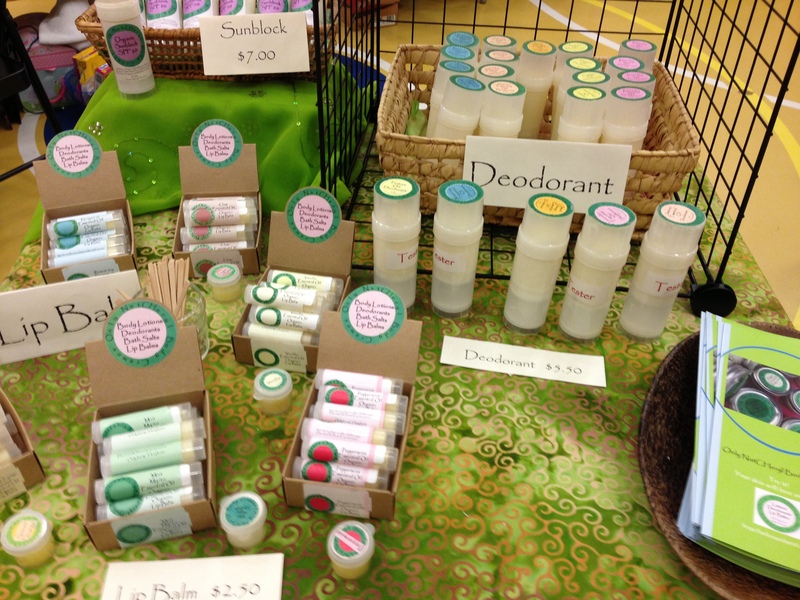 After researching the possible causes, I discovered one of the contributing factors could have been exposure to BPA and Phthalates, common hormone disruptors that are found in products used daily in many households.” Her products are homemade, contain only the good stuff, and can be ordered here. I feel renewed hope for the world and woman-kind that a super model, who built her fame and fortune on a Sports-Illustrated-Swimsuit-Issue-Worthy body, wants to be someone known for intelligence, talent, and great, sharp wit. 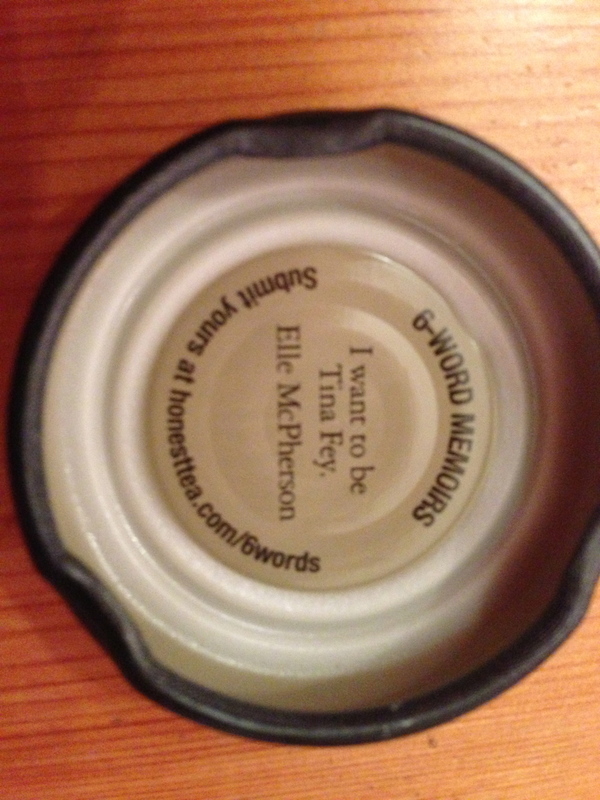 Poor Elle is now a fading flower in an industry that values only youthful exteriors. 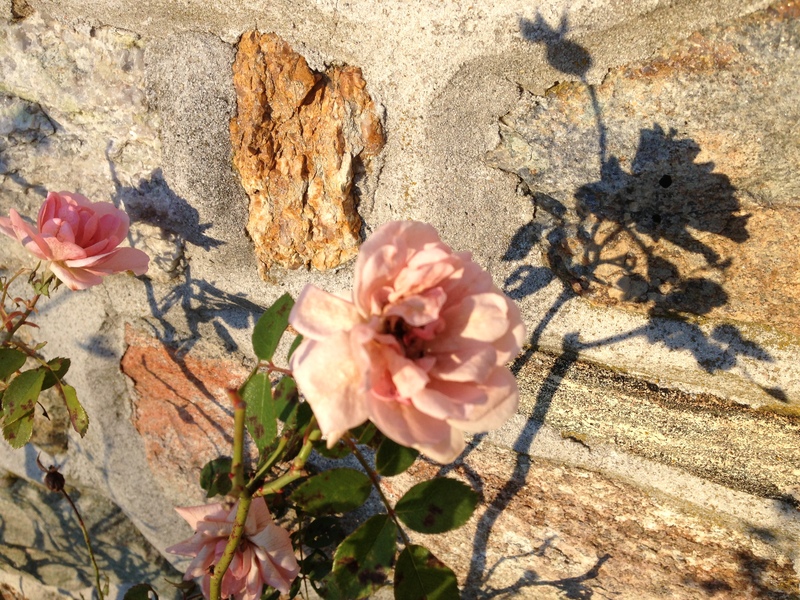 We’re all flowers bound for fading, but why not delay the process with a good moisturizer?